The iPhone 6 rumors continue, with the latest word on it confirming that the 4.7 “ and 5.5” models will be launched in September and December. But the 4.7” model will not be getting a Sapphire Display, says a market research company. According to the research report, suppliers would have shipped the parts by June to beign production to meet the deadline in September. Since that hasn’t happened, it is highly probably that the iPhone 6 will not have a Sapphire display. So, it will have to settle with Sapphire, just for it’s camera lens and Fingerprint scanner (Touch ID sensor). 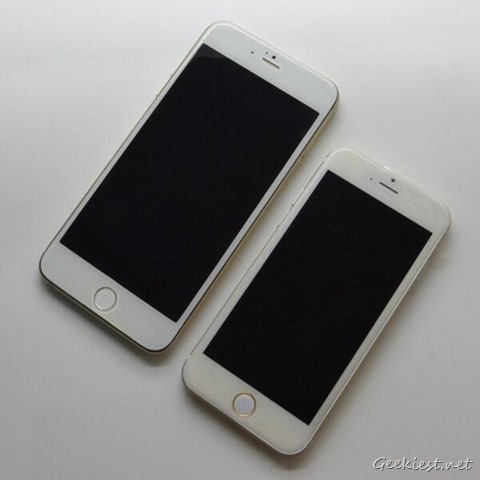 Its possible that it’s bigger brother, the 5.5” iPhone6 could end up the same way. A Chinese source says that the production for the 4.7” iPhone 6 began in June, but the production for the 5.5” one s yet to begin, and is scheduled for September. Apple are expected to unveil their first wearable device, the Apple iWatch along side the 5.5” iPhone6. It is not clear if the iWatch will have a curved display or not, if it does have one, chances are remote that it is made of Sapphire.